Propet ensures it manufactures high-quality walking shoes of good comfort. The Propet Daytona sandal meets and surpasses these rules. 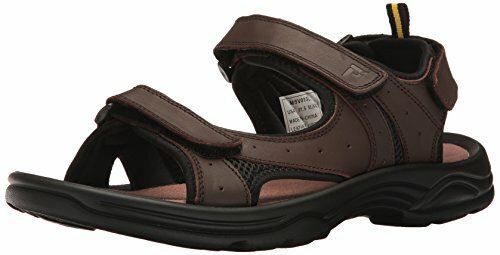 It combines the assured comfort and design of a good sandal, while also providing support and preventing slips as a full shoe does. Coming across a sandal that offers enough support is rare especially for older people. A lot of modern designs prioritize style overlooking what is very vital in a sandal. The Daytona is not one of them. The sandal’s inner sole has brown suede leather while brown leather comprises the upper section. A material of synthetic nature that is conspicuous and black is used for the sole. This gives the sandal a classic look making it an outstanding option for men’s footwear. The mix of materials used makes the Propet last long and maintain a highly flexible form. Its rubber outsole equips it with traction. This contributes to the prevention of falls and slips that could put the wearer at risk. The inner lining is fitted with microfiber so that these sandals are comfortable. 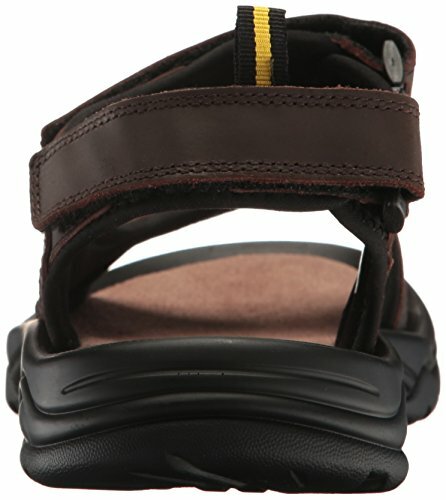 This is an excellent sandal for people of advanced age who stand for long periods and who desire to feel comfortable. 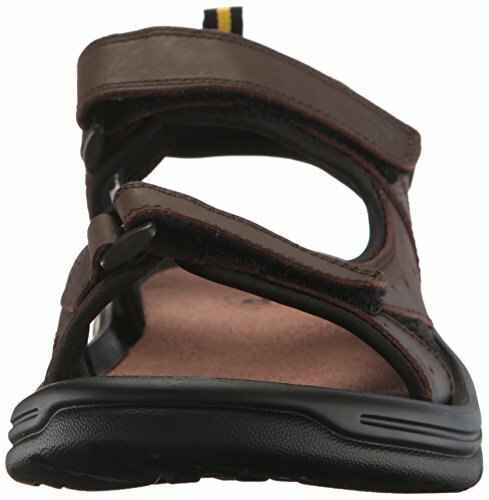 In addition, it features a Velcro strap and hook that can be adjusted making it easy to slip the sandal on and off. Note, there have been some complaints about the strap with some deeming it to be of insufficient length. Despite this, it is a great walking sandal to wear throughout the day.